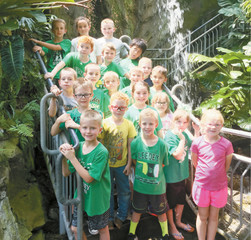 The Leedey First Grade enjoyed their trip the Botanical Gardens at the Myriad. We learned a lot of interesting facts and details about the rainforest in our two classes. We were also very excited to visit the rainforest exhibit.